Colorado Photograph is nature photography from around the beautiful state of Colorado. Featuring the textures found in nature during each season, travel around the beauty the state of Colorado offers, right from your computer! Order wonderful Colorado Photos of Aspen Trees, Aspen Leafs, Fall Foliage, Colorado Wildlife, the natural side of Colorado, amazing Columbines, and more. Frame and matte your favorite images as part of your order – or order optional products with Colorado prints such as pillows, phone covers, and even shower curtains! 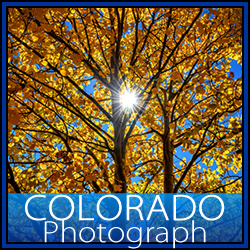 Visit Colorado Photograph today to order prints and artwork from around the beautiful state of Colorado.